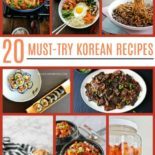 Here is a collection of twenty of the very best Korean recipes out there! It features authentic Korean recipes, Korean-fusion recipes, with classics like kimchi and gabli, as well as some dishes that you may not have heard of (samgyupsal anyone?). 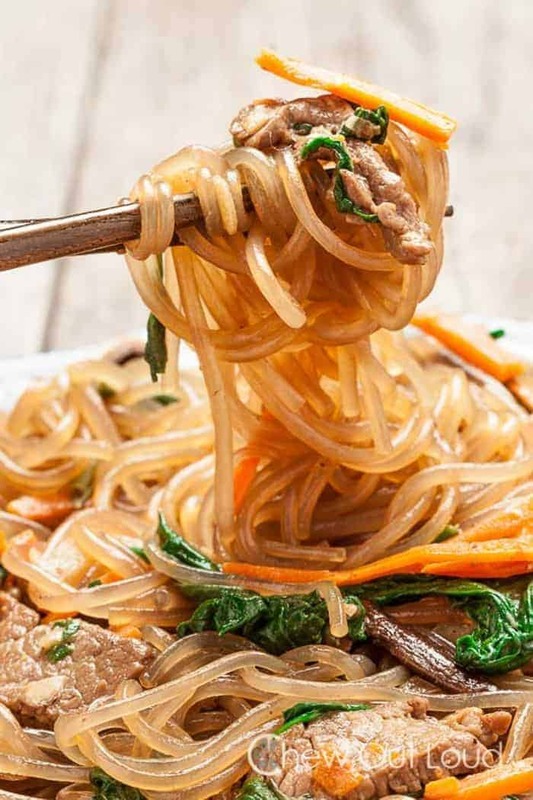 Read on to see twenty must-try Korean recipes. I fondly remember the first time I tried Korean food. My not-yet-husband took me on a date to a little Korean place in Chicago. The parking lot was so small that only a few cars could get in at a time! But the food! Oh, my was it fascinating and delicious. You could order pre-made dishes or you could cook it right there on the tabletop stove in front of you. The room was filled with noise and the smoke of cooking meat. 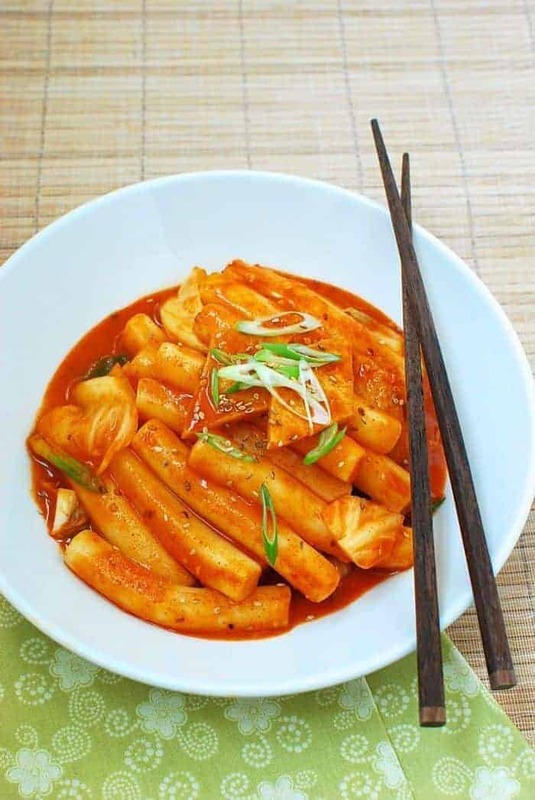 Here are the twenty BEST Korean recipes to spice up your life! This recipe has been pinned over 36 THOUSAND times! That’s when you know something is legit…and with a name like “Mom’s Kimchi”, how could it not be? 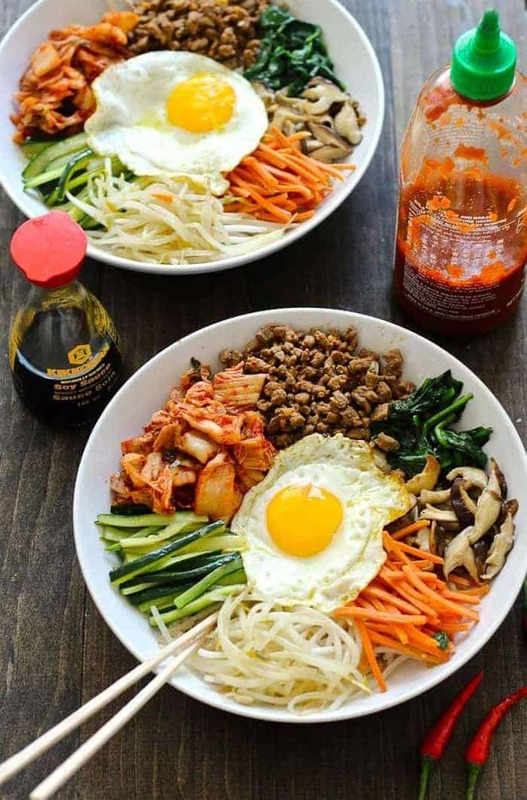 This easy version of bibimbap comes together in 30 minutes and is super simple to make. These noodles are made using sweet potato starch, and they have a texture unlike any other noodle I have ever tried! Super chewy with a mesmerizing translucency…give this dish a try! Don’t let the word “rice cakes” fool you! These spicy little devils aren’t like the sweet, fluffy cake you know…it’s more like the consistency of Japanese mochi. Eater beware! These are massively addicting. The Woks of Life has some of the best recipes on the Internet. 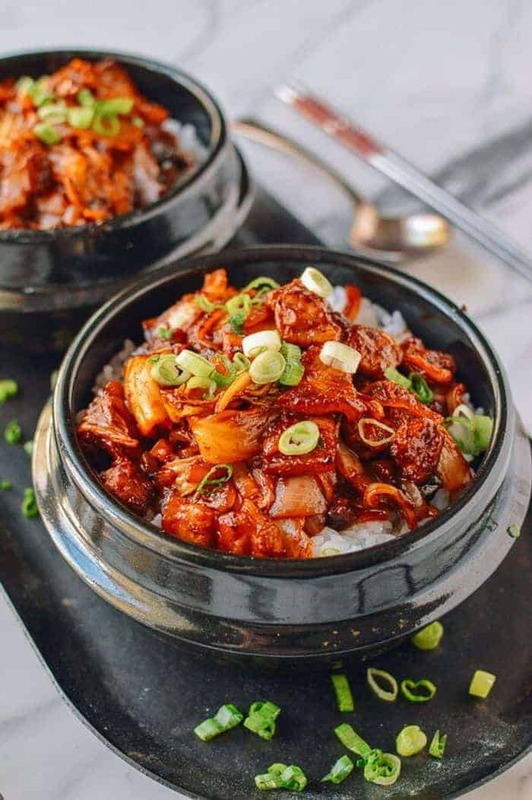 This Crispy Pork Belly Kimchi Bowl is no exception (I have some serious bowl envy just looking at this picture). Even better? This recipe only takes 10 minutes to make! 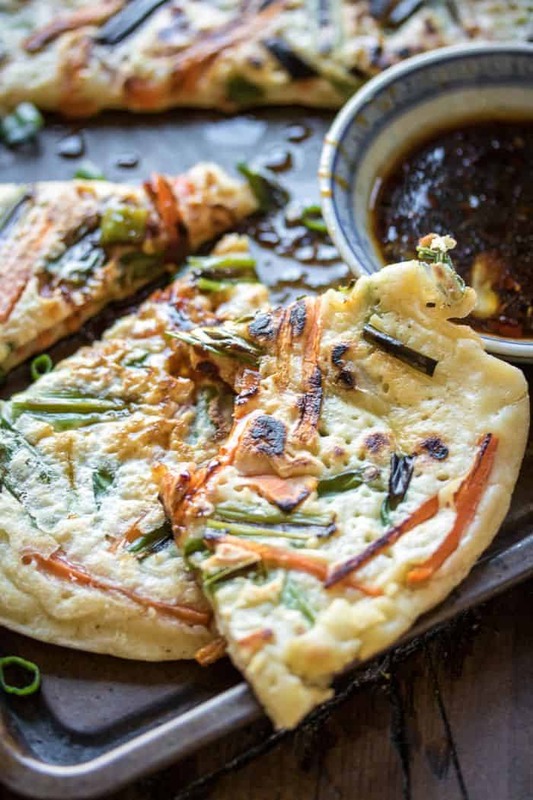 Pajeon was one of those foods that I loved to get at my local Chicago Korean restaurant! 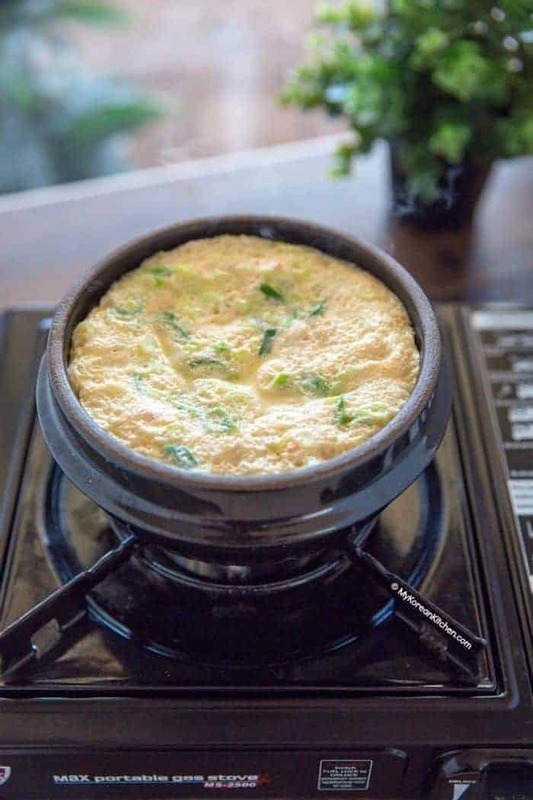 One of their signarture dishes was haemul pajeon (seafood scallion pancakes). This is a great veggie-packed version that is vegetarian-friendly. Vegans can use this recipe too (just sub flax egg for the egg and agave for honey in the sauce). 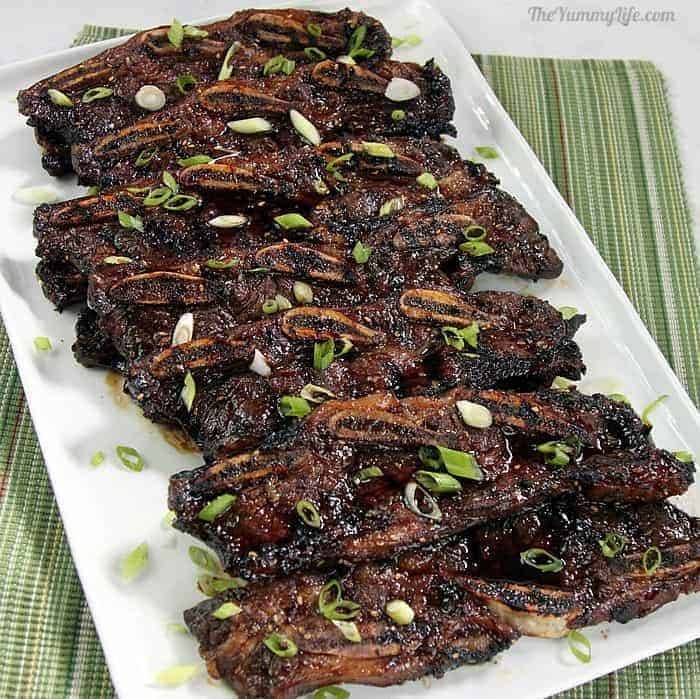 Also called galbi (or even kalbi — I have seen it spelled both ways), Korean beef short ribs are one of those quintessential dishes that practically everyone orders when going out for Korean. They are typically grilled for that extra caramelized goodness. Kimbap is basically the Korean version of sushi. 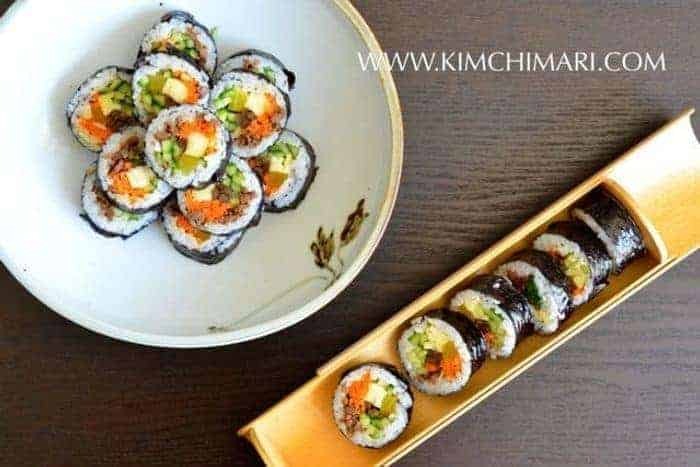 You can make Kimbap with just about any ingredients under the sun, as long as you keep the rice and the seaweed paper to wrap it in. 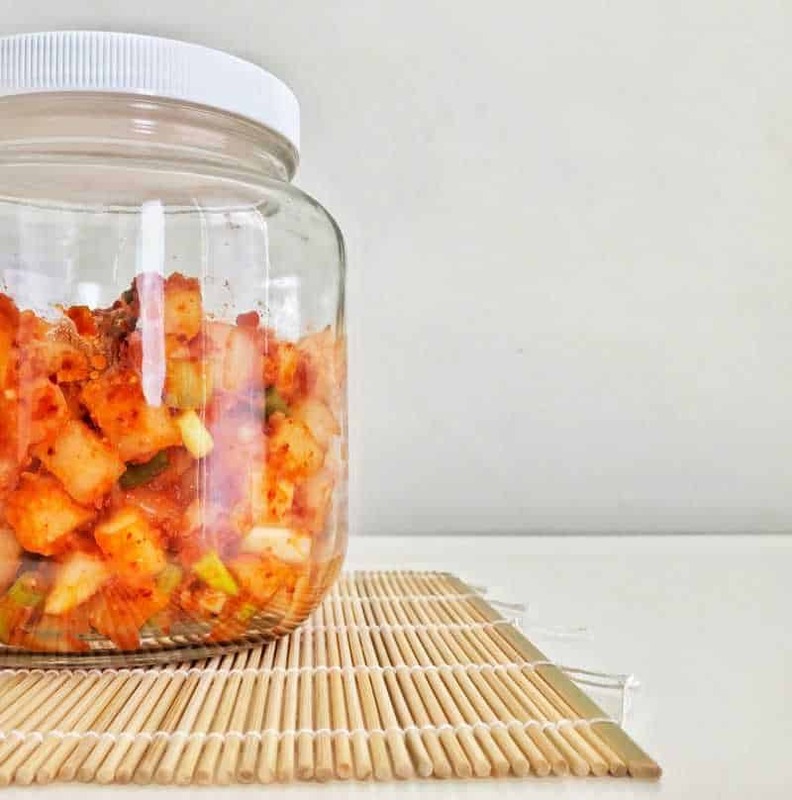 This kimchi is made with daikon instead of cabbage for the ultimate kimchi crunch! It goes great with any Korean main course — you can even put it on top of pizza for an extra spicy twist! 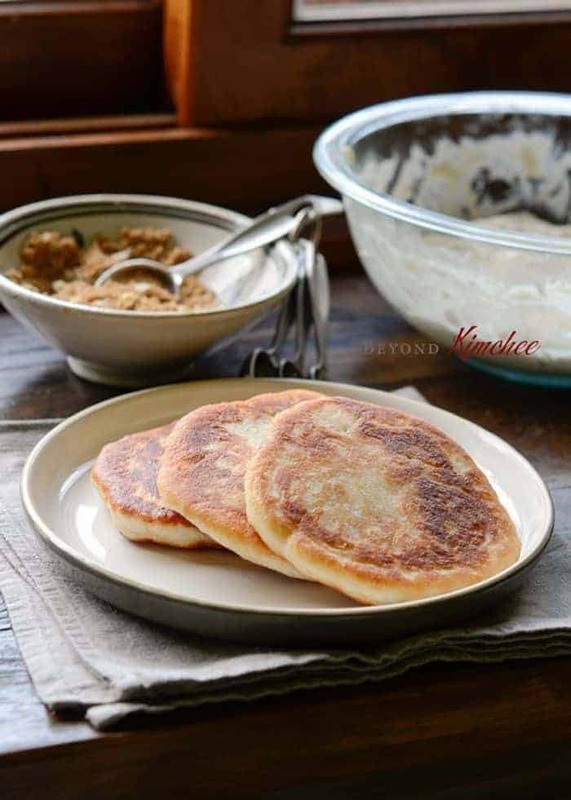 DRAMAFEVER is a great place to catch up on some great Korean Dramas…they also share this recipe for sweet Korean pancakes, which features a gooey, sugary center. Snacking on these and watching K-dramas? Sounds like the perfect weekend! Now for something a little lighter! These light-as-clouds steamed eggs have a pudding-like consistency. The author give you three different ways to steam the eggs, and you can choose the method that you prefer. This is another one of those “must-know” recipes that will become a staple in your kitchen. 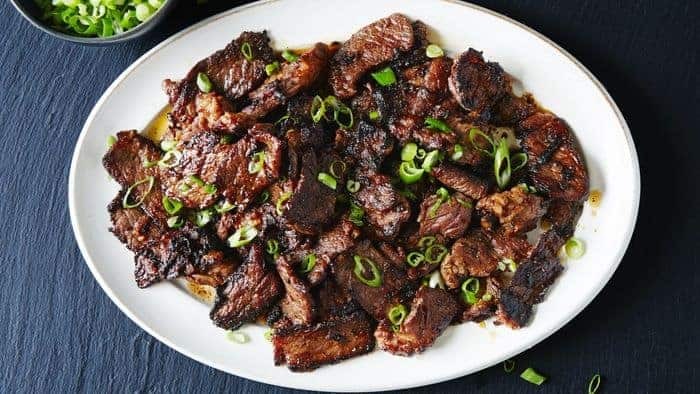 Bulgogi can be made with beef, pork, or chicken…it’s very versatile! Here is a beef version. Don’t just skip straight to the recipe — take the time to read the history behind this stew. It’s absolutely fascinating! It may surprise you to know that service in the Korean military is compulsory for males (not for females, although they can choose to enlist). Even Korean celebrities are not exempt! 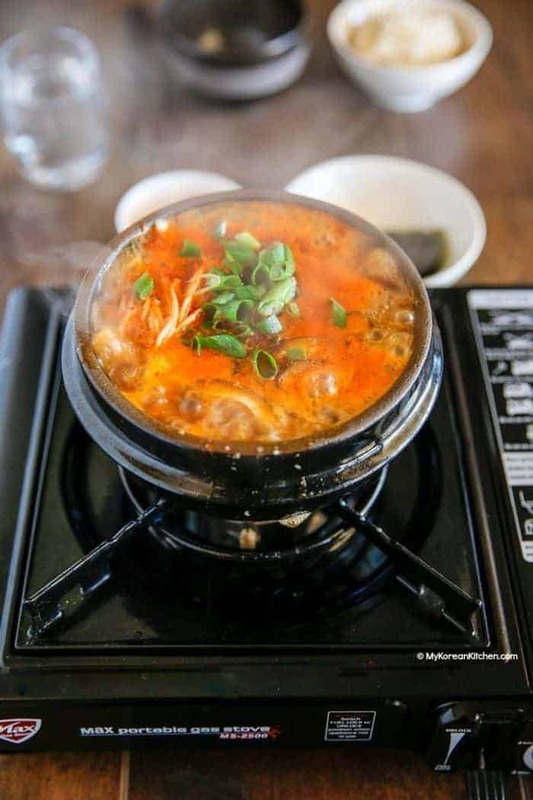 Luckily, you don’t need to enlist in the Korean military to try this fantastic hot pot! 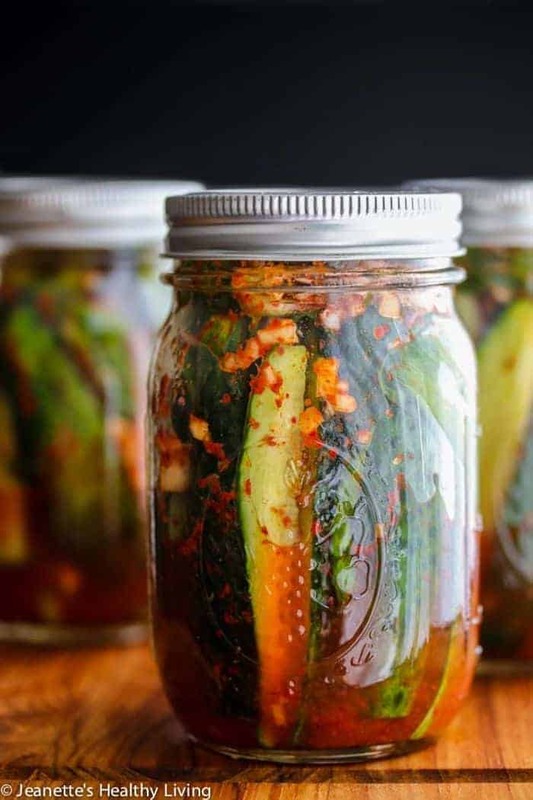 Who doesn’t love pickles? 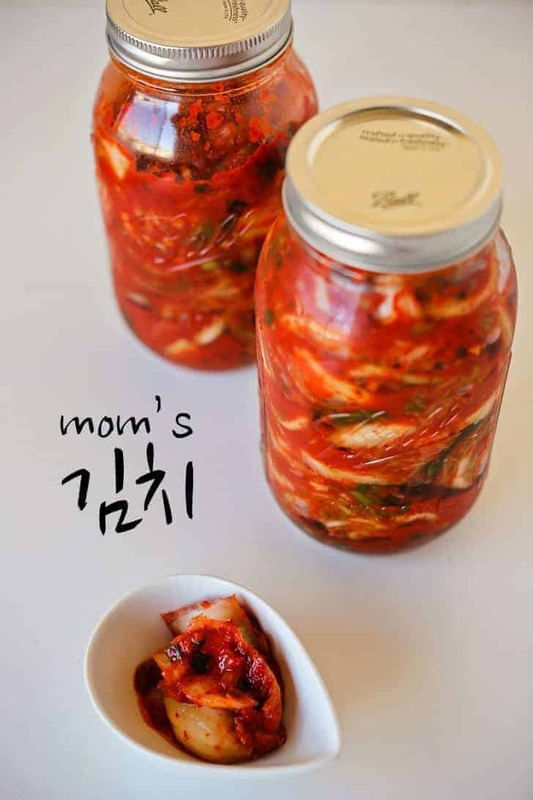 Here is the Korean version, great as a side dish to any main course or as a tasty snack! This recipe is actually a fusion between Chinese twice-cooked pork and Korean samgyupsal. 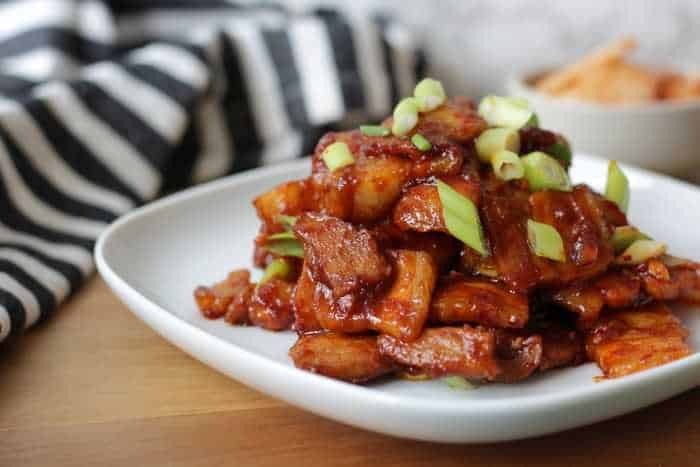 If you want a spicy pork belly dish that simply melts in your mouth, you have GOT to check out this dish. Fried rice is a great way to use leftover rice and reduce waste. 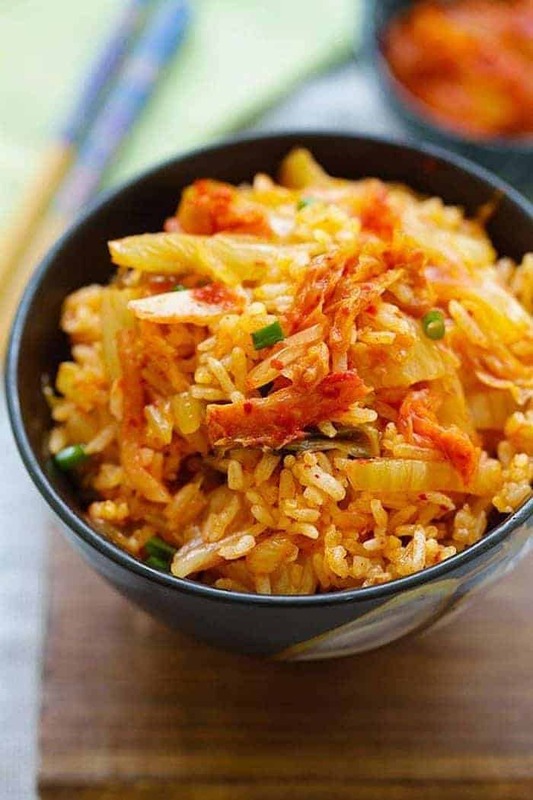 This recipe only takes 15 minutes to whip up and uses kimchi to spice up fried rice. Here is another recipe that is great for vegetarians! 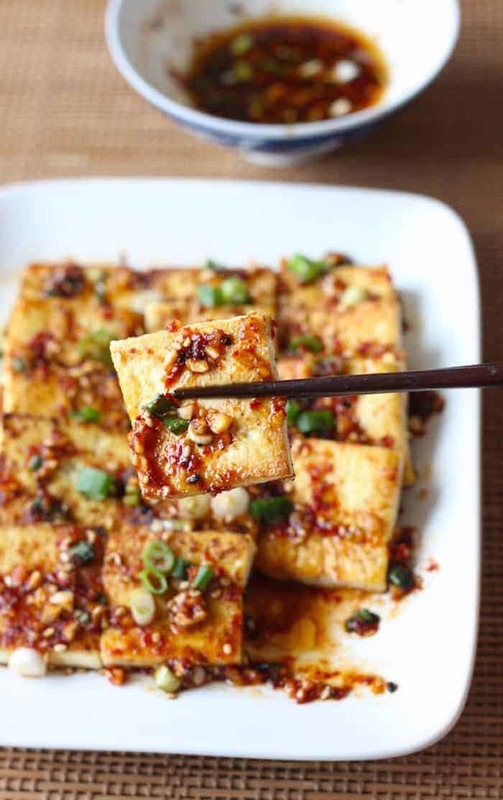 This crispy pan-fried tofu is drizzled with spicy Korean sauce that shows you that you don’t need meat to satisfy a craving for good food. 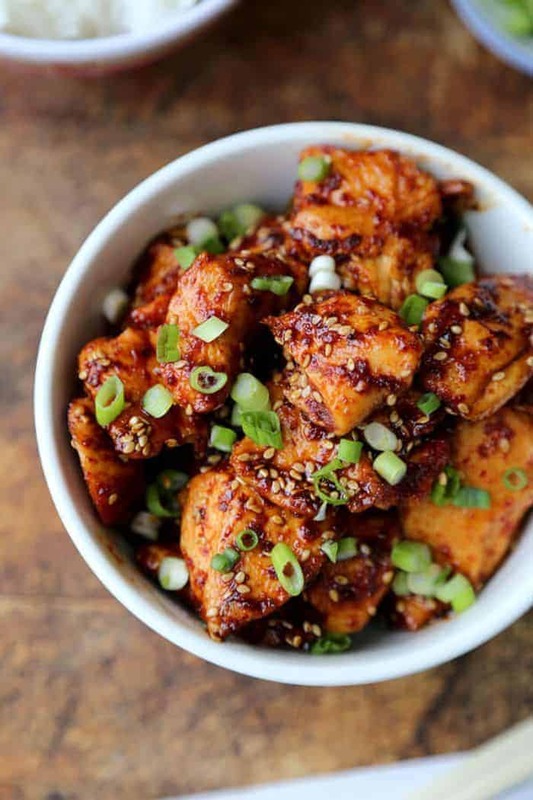 I love all of the recipes from Pickled Plum, and this sticky chicken recipe is no exception! 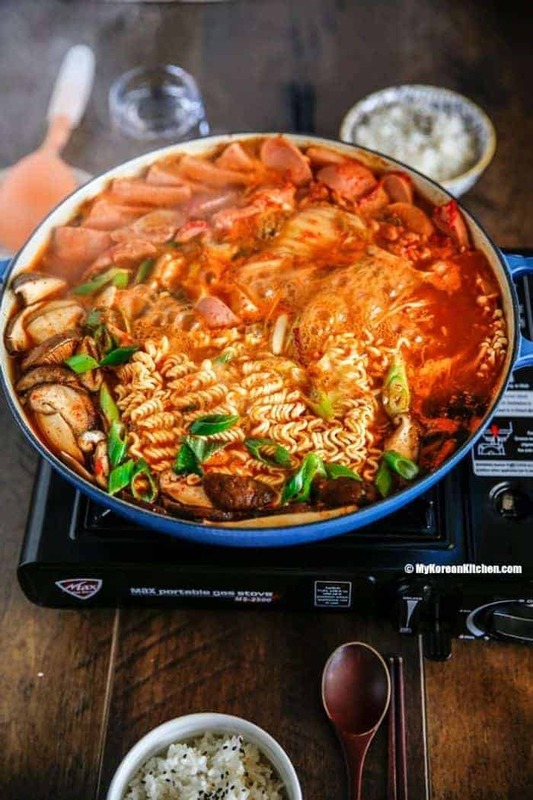 This is the ultimate easy Korean comfort food recipe! Another great tofu recipe that is paired with seafood to create a rich, deliciously spicy stew. 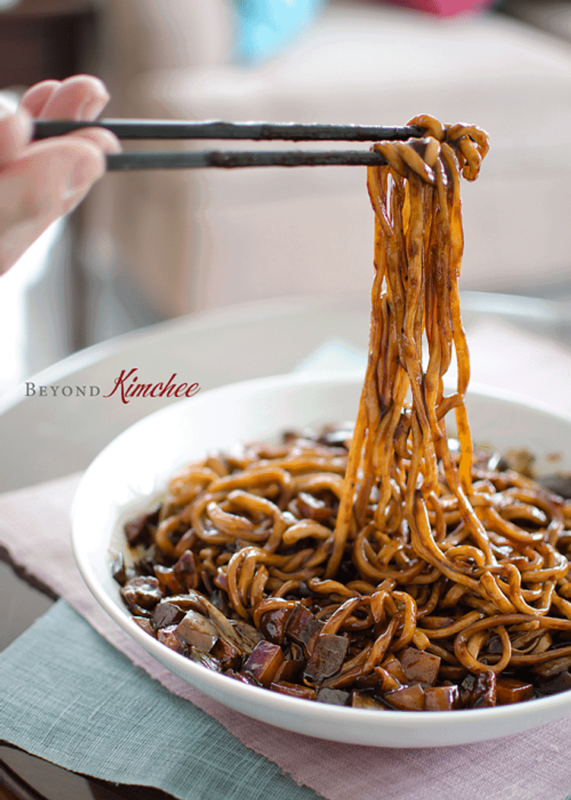 For the last dish, I give you the slurpalicious jjajangmyun — Korean black bean noodles. Pairs great with any Korean drama! A must-try recipe for sure. 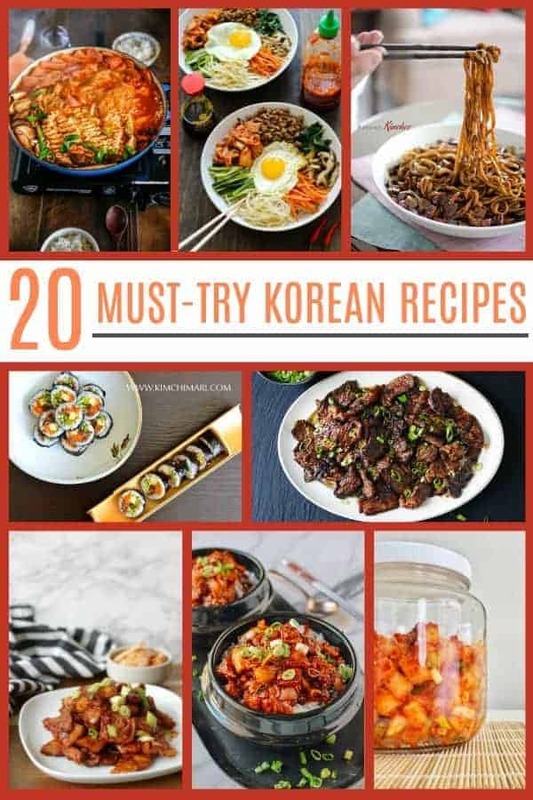 There they are, twenty of the best Korean recipes! Right back at you, Andrea! Hope you and your family have a great Fourth too! This all looks so yummy! I love kimchi (especially radish kimchi), the short ribs/Kalbi and the pancakes! I need to try all these recipes. So far, my husband is the Korean food cook in the family, but maybe I can challenge him! Husbands need to be challenged every once in a while Lauren 😉 I hope you can try some! These recipes are all super awesome. You changed things up again on your site! Looks great! Love these recipes… I forgot to comment on it before! My sister would LOVE these! 😉 (here from Saturday Sharefest!) LOL! Thanks Julie, I feel like I change things a little every day hahaha! Def share the recipes with your sis. Hugs! All of these recipes seem so genuinely delectable! Or is it because I am starved? great post!